Escape the summer heat and join us for cool refreshments and lively conversation with fellow HBS alumni in South Florida for a very special event! We have the honor of having two industry luminaries – Fred Hassan and Phil Frost – speak to us about innovation in life sciences in the 21st century. We are still in the dawn of a century that promises transformational advances in the life sciences industry with the potential to improve and lengthen lives meaningfully beyond the current standard. Fred Hassan and Phil Frost will draw on their deep industry experience to share how they envision the century evolving and what they see as the key challenges and opportunities for the sector. Presenter: Dr. Philip Frost, Chairman & CEO - OPKO Health, Inc. 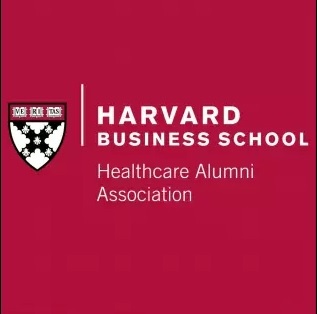 There is no fee for HBS alumni and their invited guests, but registration is required. Please notify the office as soon as possible if you have to cancel a registration, so people on the waiting list can attend. Dr. Phillip Frost is Chairman and CEO of OPKO Health, Inc., a biopharmaceutical and diagnostics company headquartered in Miami, Florida. Phillip Frost was born in Philadelphia, Pennsylvania where he attended public schools. Dr. Frost earned his B.A. in French Literature from the University of Pennsylvania in 1957, and his M.D. from the Albert Einstein College of Medicine in 1961. He served as a Lieutenant Commander, U.S. Public Health Service at the National Cancer Institute from 1963 to 1965, after which he joined the Dermatology faculty at the School of Medicine, of the University of Miami. Dr. Frost then served as Chairman of the Department of Dermatology at Mount Sinai Medical Center of Greater Miami from 1970 through 1990. From 1987 to 2006, Dr. Frost served as Chairman of the Board of Directors and Chief Executive Officer of IVAX Corporation, a global pharmaceutical company. When IVAX merged with Teva Pharmaceutical Industries Ltd, he went on to serve as Vice Chairman of the Board until assuming his role as Chairman in 2010. Dr. Frost was also Chairman of the Board of Directors of Key Pharmaceuticals, Inc., from 1972 until it was acquired by Schering Plough Corporation in 1986. Dr. Frost was Co-Vice Chairman of the Board of Governors of the American Stock Exchange from 2005 - 2008, and is Chairman of the Board of Ladenburg Thalmann Financial Services. Dr. Frost was a former Chairman of the Board of Trustees of the University of Miami where he still serves as a Trustee, and he is also a Trustee of the Mount Sinai Medical Center. 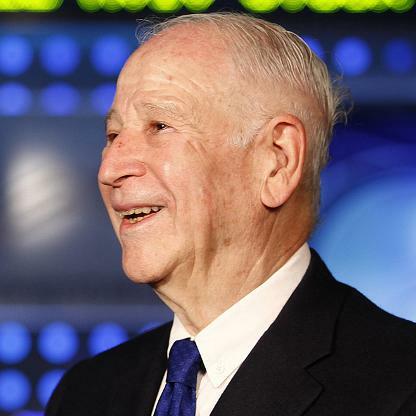 Phillip Frost was a Trustee of The Scripps Research Institute from 2004 to 2012, and a Regent of the Smithsonian Institution from 2006 until 2010. In 2010, Dr. Frost was nominated as a member of the Scientific Advisory Council of the Foundation for Development of the Center of Research and Commercializing of New Technologies in Russia. Most recently, Dr. Frost was appointed as a Founding Member of the Scientific Governance Board of the Shanghai Institute for Advanced Immunochemical Studies (SIAIS). Dr. Frost was appointed by President Ronald Reagan to the National Cancer Advisory Board and by President Bill Clinton to the National Museum Service Board. He was named National Entrepreneur of the Year by Ernst & Young in 2001. In May 2014, Dr. Phillip Frost was a recipient of the 2014 Ellis Island Medal of Honor. Dr. Frost is a generous supporter of education, science and technology and the arts. After his gift in 2003, the largest ever given to a university-based music school, the University of Miami named the school the Phillip and Patricia Frost School of Music. Also in 2003, after his gift to the Art Museum at Florida International University, the museum was named The Patricia & Phillip Frost Art Museum. Most recently, he provided a major gift for the construction of the new Miami Science Museum, which was named the Phillip & Patricia Frost Museum of Science, and for a new Institute of Chemistry and Molecular Sciences at the University of Miami. He and his wife, Patricia, are renowned collectors who gave their 113 piece collection of American abstract art to the Smithsonian Institution in 1986. Fred Hassan is a Partner and Managing Director with the private equity firm, Warburg Pincus. He is also a Board member of Time Warner, Amgen and Intrexon. Fred Hassan is the former Chairman of the Board and Chief Executive Officer of Schering-Plough Corporation. Prior to joining Schering-Plough in April 2003, Hassan was Chairman and Chief Executive Officer of Pharmacia Corporation – a company that was formed in March 2000 as a result of the merger of Monsanto and Pharmacia and Upjohn. Hassan joined Pharmacia & Upjohn as Chief Executive Officer in 1997. Previously, Hassan was Executive Vice President of Wyeth, with responsibility for its pharmaceutical and medical products business. He was elected to Wyeth’s Board of Directors in 1995. Earlier in his career, Hassan spent 17 years with Sandoz Pharmaceuticals (now Novartis) and headed its U.S. pharmaceuticals business. Hassan received a B.S. 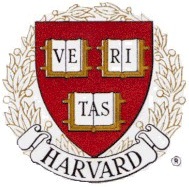 degree in chemical engineering from the Imperial College of Science and Technology at the University of London and an M.B.A. from Harvard Business School. Hassan has chaired significant pharmaceutical industry organizations including The Pharmaceutical Research and Manufacturers of America (PhRMA) and The International Federation of Pharmaceutical Manufacturers Associations (IFPMA). Mr. Hassan is also a member of The Business Council. Fred Hassan’s book, “Reinvent - A Leader’s Playbook for Serial Success” was published in February 2013 by Wiley and has been discussed in many global organizations including the World Bank. In 2014 he was selected by a CNBC panel to be among the 200 people who have had the greatest influence on business in the past quarter century.